Mackenzie Gray was born and raised in Toronto. A professional actor for over 35 years, he has appeared in over 120 films and television shows. Since moving to Vancouver as a series lead for the television series THE NET, he has appeared as a recurring guest star on SMALLVILLE, HUMAN TARGET, YOUNG BLADES, DA VINCI’S INQUEST, THE COLLECTOR, FIRST WAVE, SO WEIRD as well as performing guest or lead roles in many TV series, including ONCE UPON A TIME, FRINGE, TRUE JUSTICE, THE BRIDGE, SANCTUARY, PSYCH, KYLE XY, SUPERNATURAL, KNIGHTS OF BLOODSTEEL, THE L-WORD, ROMEO, THE TWILIGHT ZONE, BABYLON 5: The Legend of the Rangers, BIG SOUND, ANDROMEDA, COLD SQUAD, VOYAGE OF THE UNICORN and WELCOME TO PARADOX. Mackenzie can be seen as JAX-UR, the Kryptonian scientist in the new Warner Brothers, Zack Snyder-directed Superman film THE MAN OF STEEL. In IMAX theatres around the world, he was seen in the Metallica IMAX 3-D Feature METALLICA: THROUGH THE NEVER. Currently, he’s playing the recurring role of Mr. Spiney in the new Hub Network TV Series SPOOKSVILLE, and just completed Guest Starring roles on ROGUE and BITTEN. He was seen as an “Observer” in the series finale of Fox TV’s FRINGE, and as the Devil, in the form of Keith Richards, in R.L. Stine’s THE HAUNTING HOUR. He guest-starred on the J.J. Abrams series ALCATRAZ, starred as the new “Lex Luthor” in the premiere of the final season of SMALLVILLE, as a Southern U.S. Senator opposed to Civil Rights in the mini series THE KENNEDYS and as a Graphic Novelist with a dark secret in R. L. Stine’s THE HAUNTING HOUR. He appeared in Terry Gilliam’s THE IMAGINARIUM OF DR. PARNASSUS. Other feature film work includes co-starring roles in GRAVE ENCOUNTERS, SHOOTER, STORM SEEKERS, RIDDLE OF THE SPHINX, DESTINATION INFESTATION, JOYRIDE II, STRIPSEARCH, CHRISTMAS ON CHESTNUT STREET, 2103: THE DEADLY WAKE, WORD OF HONOR, JOYRIDE II, THE HITCHER II, FALLING FIRE, IN HER MOTHER’S FOOTSTEPS, HARD ROAD TO HELL, SHEPHERD, DON’T CALL ME TONTO, and REPLIKATOR. Other films include SECRET LIVES, THE WARS, MOTHERS AND DAUGHTERS, THE LONG KISS GOODNIGHT, PART OF THE GAME, LUCKY STARS and MAFIA PRINCESS. Mackenzie wrote and directed a Film Noir short for the CRAZY 8’s competition. His film, UNDER THE BRIDGE OF FEAR was selected for The Cannes Festival, the Vancouver International Film Festival (VIFF), and the Whistler Film Festival and has been bought by the CBC. He co-produced and acted in the award-winning feature film POE: LAST DAYS OF THE RAVEN, and has written, produced and directed five short films and composed and recorded the theme songs and score for the films GRACELAND and MY MIND’S EYE. Mackenzie also works extensively as a “voice” performer. He is the voice of “Obadiah Stane” in Marvel Comics’ anime series IRON MAN: THE ARMORED ADVENTURES and has recurring roles on the animated TV series TETSUJIN, STARGATE: INFINITY, ACTION MAN, MADELINE, EVOLUTION and NASCAR RACERS. He has recorded several lead roles in animated feature films. Notable among these are “Long John Silver” in TREASURE ISLAND, “Professor Henry” in MY FAIR MADELINE and the dual lead roles of “Doctor Nightingale” and “Adrian Rourke” in GROOVE SQUAD. Other animated work includes TONY HAWK, BEN HUR (with Charlton Heston) and THE ARK, MASTER KEATON, SHERLOCK HOLMES IN THE 22nd CENTURY, LOST CONTINENT, MARY-KATE AND ASHLEY and JOURNEY TO THE CENTRE OF THE EARTH. He has created many voices for Video Games, is the lead in the new BLACK ORCHID XBox Game and several characters in the latest edition of DAWN OF WAR. Mackenzie has worked on stage in Canada, Britain and in the United States in hundreds of plays, musicals and cabarets. He was recently seen onstage as “Steve” in the Pulitzer Prize-winning AUGUST: OSAGE COUNTY at The Stanley Theatre in Vancouver. Recently, he played several roles in the Tom Waits/William S. Burroughs award-winning hit rock opera THE BLACK RIDER, in Toronto and Vancouver. 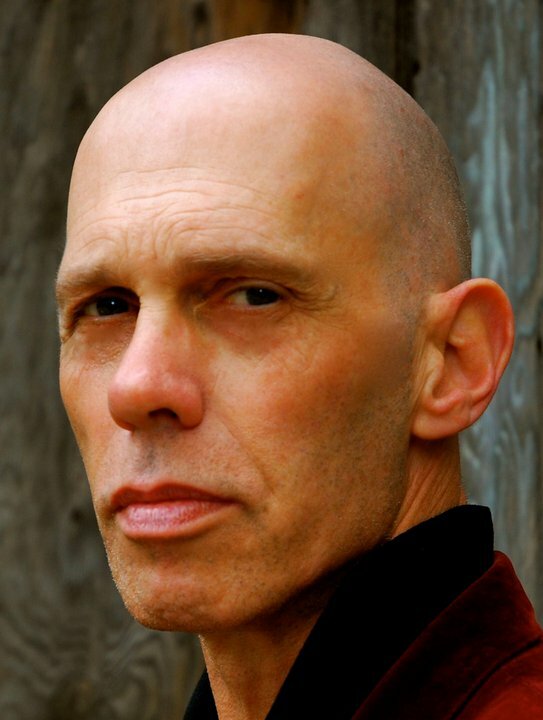 He has played lead roles in many plays, including BLOODY POETRY, THE ROCKY HORROR SHOW, JACOB TWO-TWO MEETS THE HOODED FANG, BOXING SHAKESPEARE, PLAYING WITH FIRE, THE THREEPENNY OPERA, DANTON’S DEATH and Videocabaret’s multiple-award-winning plays THE GREAT WAR and THE LIFE AND TIMES OF MACKENZIE KING. Shakespearean work includes lead roles in MUCH ADO ABOUT NOTHING, MACBETH, THE WINTER’S TALE, TROILUS AND CRESSIDA, and ROMEO AND JULIET. Mackenzie recently wrote, scored and directed the play/musical MATH OUT LOUD which will tour across Canada this year. He has directed at The Stratford Festival and the Canadian Stage Company, wrote and directed the Ballet/Opera THE SNOW MAIDEN at The Royal Alexandra Theatre, produced the award-winning hit play UNIDENTIFIED HUMAN REMAINS AND THE TRUE NATURE OF LOVE in Toronto and has directed and produced over 25 plays. He is a former board member and Director of the Performers Branch of the Academy of Canadian Cinema and Television. Mackenzie is an 11-time Leo Award “Best Actor” nominee, a 2-time Dora Award nominee and has won or been nominated for many awards in his various disciplines.